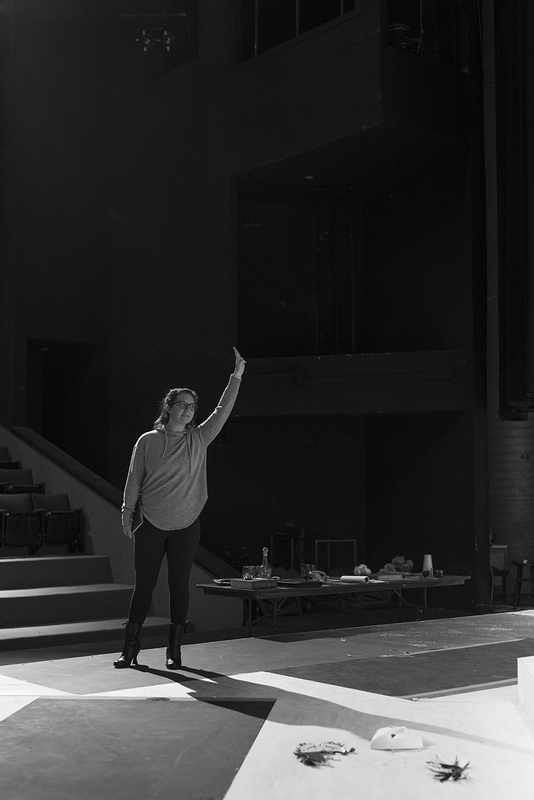 The theatre exists in, and creates, a heightened reality where people go to escape. 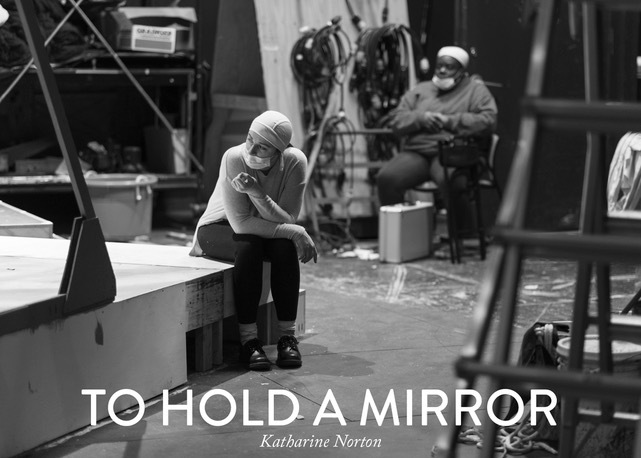 To Hold a Mirror is a photography project that explores the sense of community and identity within theatre students, both actors and designers, and the work that goes into a show that is rarely visible to the majority of theatre-goers. The in-between and sometimes mundane moments that make up the majority of their experience are more revealing of the subculture than the performances. This group of people have formed a community that has a sense of found family, one strengthened by their interactions with the space and with each other. 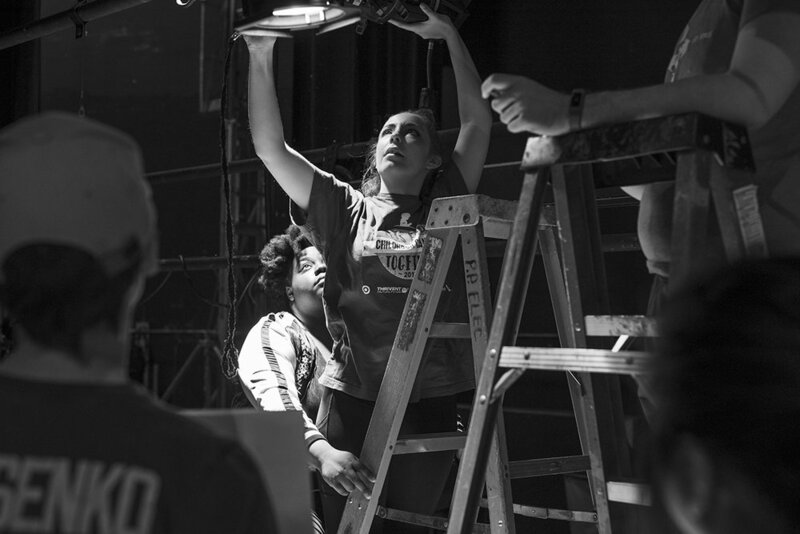 Although the individuals themselves are diverse in their personalities and interests beyond the theatre, the amount of time and energy that they pour into their work can allow it to become an all-consuming identifier. The majority of their time is spent together, even when not working. Friendships and relationships are made and strengthened. A bond to this degree is fostered by the specific situation. 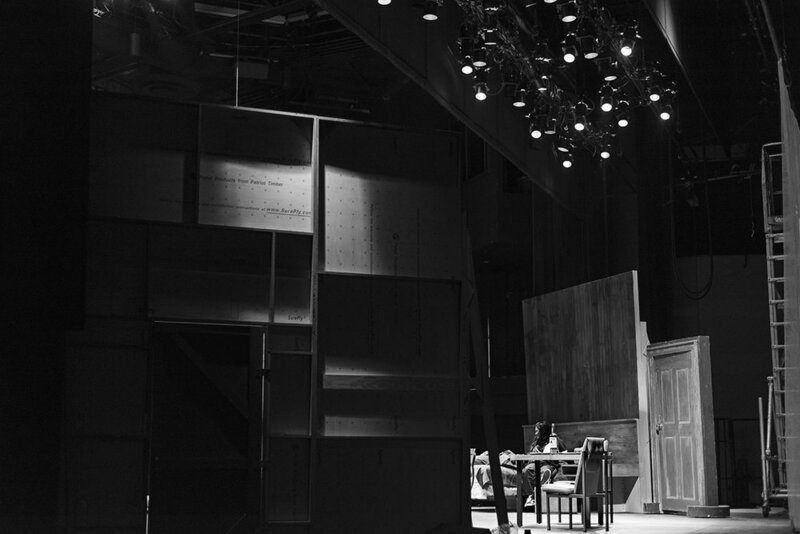 The stage references the frame of the picture and draws attention to the construction that occurs, even in documentary imagery. 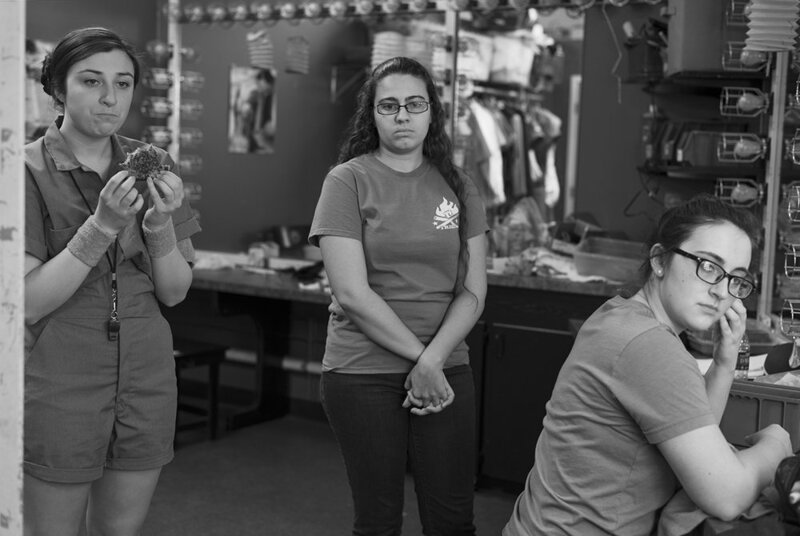 I frame the pictures so as to draw attention to the ways in which the subjects perform both on stage and off. In this sense, I am both an insider documenting this theatre community, and an outsider watching with a camera as a mediator. Through their gaze, the subjects recognize my dual position. The subject’s identities are informed, in part, through the setting. At times, it engulfs the figures. The sometimes dramatic lighting and other oddities characterize the environment, setting it apart from the everyday. 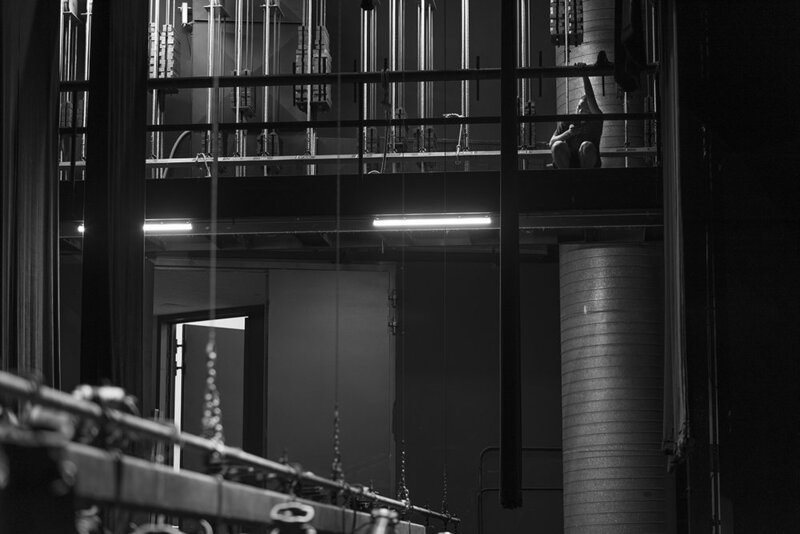 This heightened space itself becomes a character within the community. It reflects the passage of time. Props and costumes are added or modified and areas get remodeled as new students join and seniors graduate out. 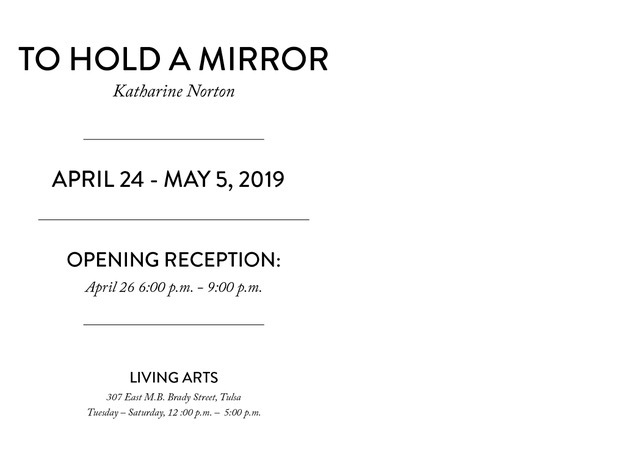 Katharine Norton will have a solo exhibition of her work, “To Hold A Mirror,” at Living Arts Tulsa in Tulsa, Oklahoma. 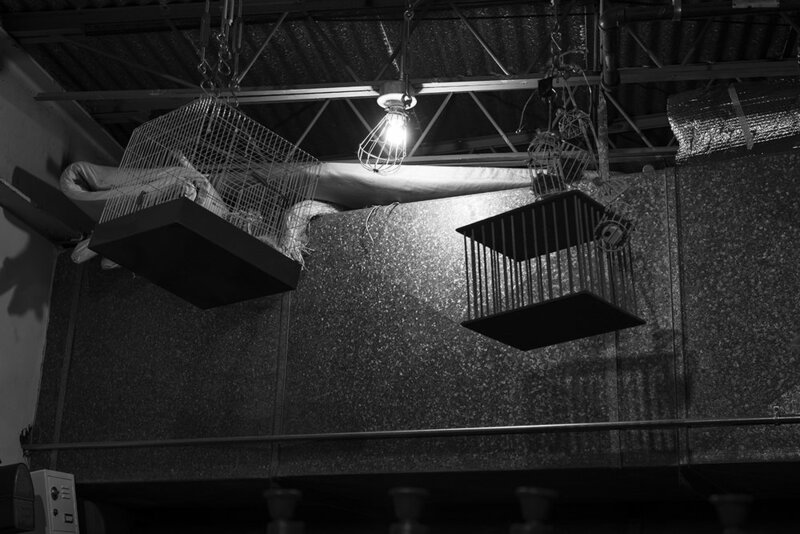 She is the recipient of the 1st place undergraduate award at the 50th Annual Gussman Juried Student Exhibition that was juried by Ronda Kasl, Curator of Latin American Art at the Metropolitan Museum of Art in New York City. She has exhibited work at Momentum OKC, and in ArtNow at Oklahoma Contemporary. You can see more of her work here.